From the practical—what we eat—to the emotional —how we love, this book, inspired by Holy Scriptures, examines the choices we make and the inevitable consequences: good and bad. The depravity of human nature has caused the demise and downward spiral of the human race and all of creation. Only Jesus has the power to save us! “My people are destroyed for lack of knowledge.” (Hosea 4: 6) From the practical—what we eat—to the emotional—how we love, this book, inspired by Holy Scriptures, examines the choices we make and the consequences: good and bad. Mankind’s answers are not found in philosophical doctrines or science books, but are revealed in the Holy Scriptures. 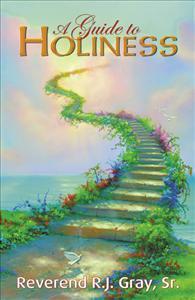 “Guide to Holiness” is for those seeking deeper depths, and higher heights, in God! I read this book, as I do many books of this type, and I found it to be a positive influence on the way I view things. It explains well the purpose and love of Jesus. I would recommend this book to any one in search of the truth simply said! !